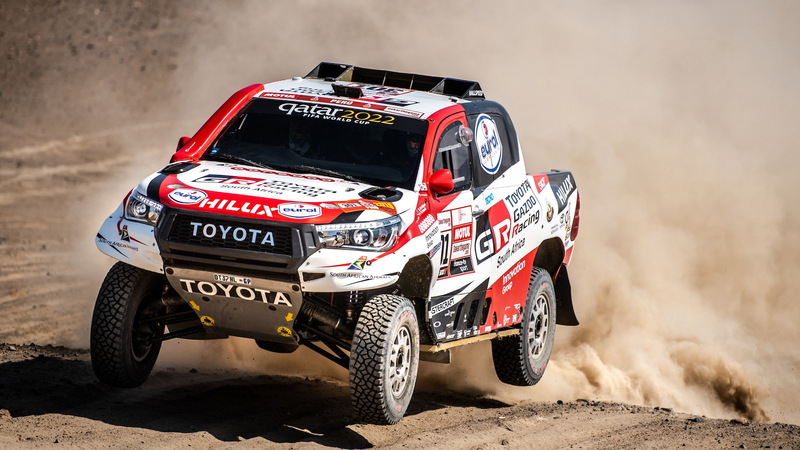 A specially prepped Toyota Hilux pickup truck was driven to victory in the premier Car category of the 2019 Dakar Rally, the first for the Japanese automaker. 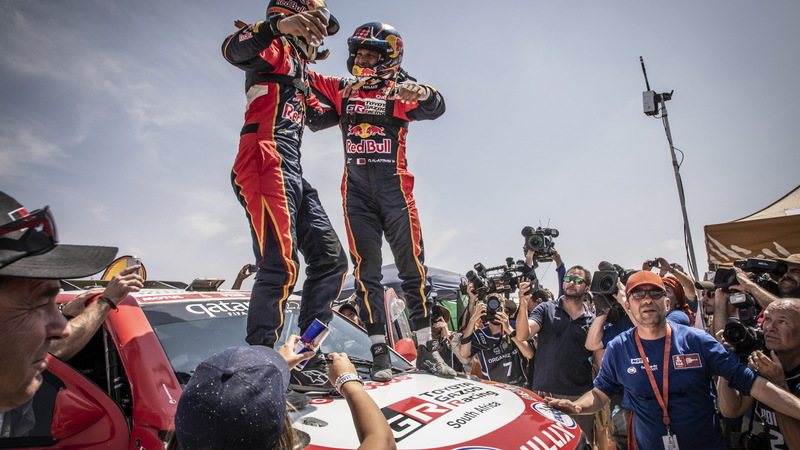 Doing the driving was Nasser Al Attiyah and co-driver Mathieu Baumel, who finished the final stage of the grueling trek on Thursday with a 46-minute cushion. The Qatari driver now has three Dakar titles under his belt. And not only was it a first win for Toyota, but it was also the first time a vehicle running on gasoline has taken top honors since the competition was moved to South America from Africa in 2009 for safety reasons. Things were a little easier this year as top team Peugeot ended its participation after 2018's run. Nevertheless, there was still strong competition, particularly from X-Raid Team whose duo of Nani Roma and Alex Haro Bravo finished second. 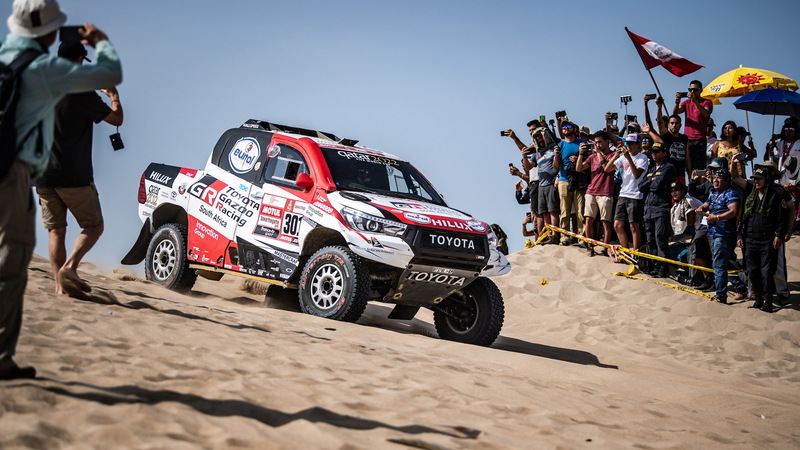 But Toyota, competing under the Toyota Gazoo Racing SA banner, was unstoppable this year, winning every stage of the 1,800-plus-mile marathon, which was dominated by Peru's tricky and often treacherous sand dunes. 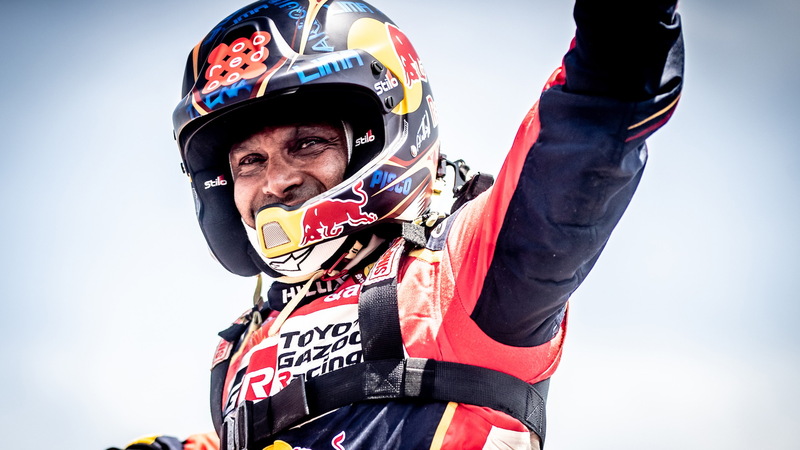 "We are so happy to win the Dakar, not only for ourselves, but also for Toyota and the entire Toyota Gazoo Racing SA team," Al Attiyah said in a statement. "Everyone has worked so hard for so long, and really deserve this." In the Bike category, top honors went to Toby Price of Red Bull KTM. And in the Truck category, it was once again Kamaz with drivers Eduard Nikolaev, Evgenii Iakovlev and Vladimir Rybakov on top.